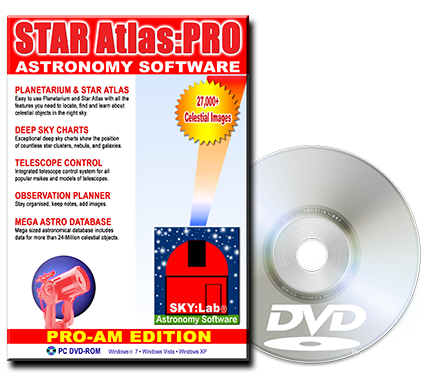 STAR Atlas:PRO™ provides you with instant charts beyond 15th Magnitude. Testimony to the charting power are the following screen shots. The following screen shot shows a large 20-degree wide chart centered near the bright star Antares in the constellation Scorpius. The large dark region is a nebulous area of the sky called the Rho Ophiuchus nebula.